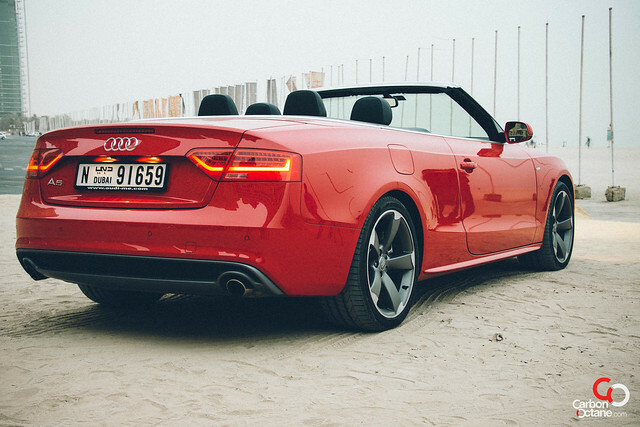 The 2012 Audi A5 drop top is more than just a tad touch up work to make it look fresh. In Audi’s term it’s called “Product Improvement”. 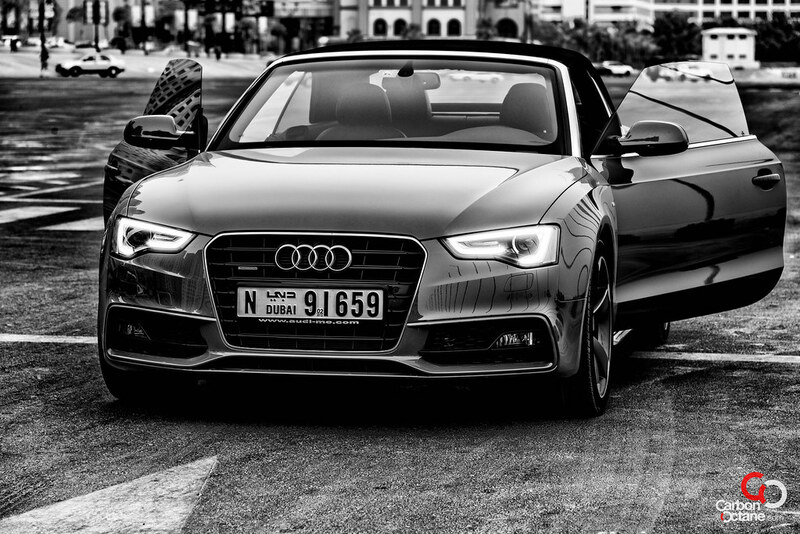 Audi has given the A5 much more than a mid life botox injection – they have gone for a complete makeover. Audi’s rebirth into consumer motoring was stylized by the handwork of its Italian design chief, Walter de’Silva, which was four years back when he created the design theme of the A5 and shook the world at their feet. Now, David Caffrey has continued on the tradition and draped the German technological masterpiece with fine Italian suiting. But are these changes too little too late since Audi’s arch rivals, the BMW 3 Series and Mercedes C Class have upped their ante? 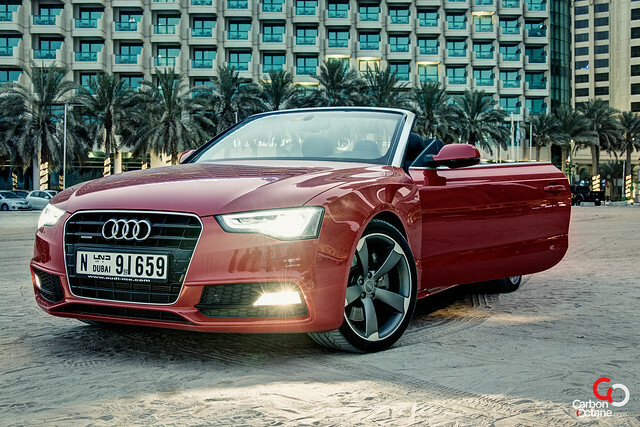 At a first glance the new A5 Cabrio looks refreshingly different than last years model. The exterior transformation has been on the front and rear tail lights as well as the front grill. 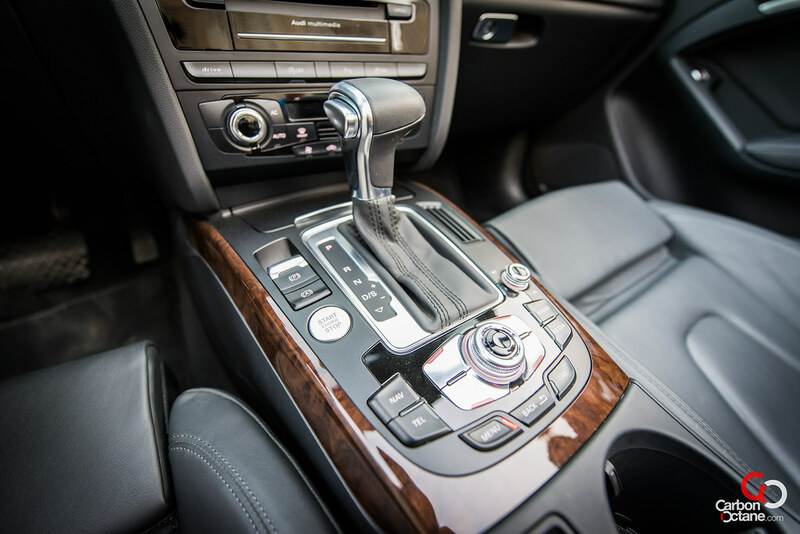 On its interior, Audi has cleared the cluster in the dash and added more aluminum accents for a more tidier and visual delight, not to mention a more pleasant tactile feel. The feel of the buttons and the aluminum are more in line to form & function rather than form over function. They are fashion accessories which feel comfortable as well. Our test vehicle came in candy red with black cloth roof. The “A pillars” contrasted well with the color as it was just bare aluminum finish. This accent stood out like a beacon of light. 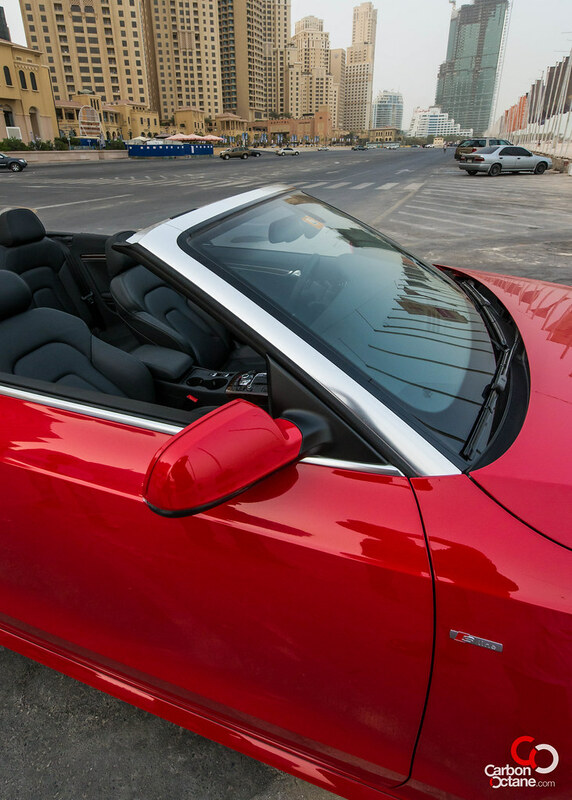 For 2012 our cabrio get the detuned version of the S5’s supercharged V6 and gives out 272HP, as compared to 235HP/228HP of the BMW 330I/Mercedes C300, and 400Nm of torque from 2150-4780rpm. So far the stats looks good compared to its closest rivals. How does it drive then? 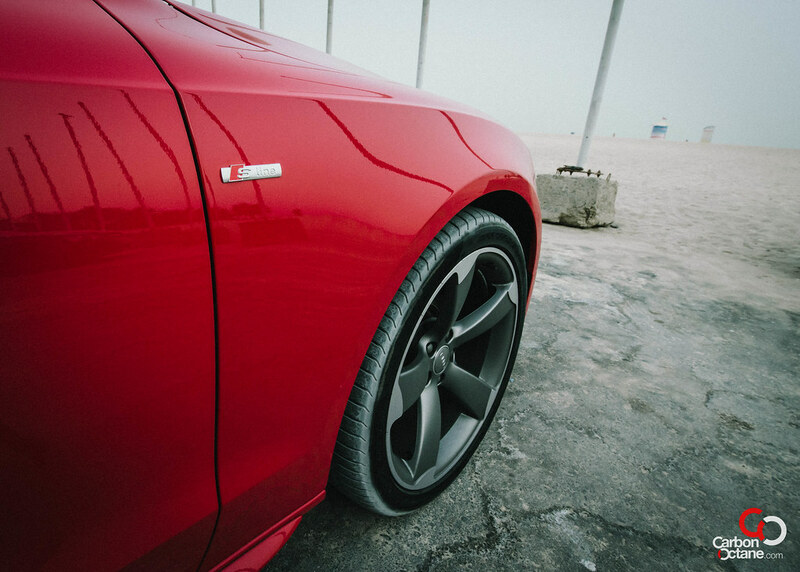 The Quattro by Audi is a driver’s delight. The availability of all wheel traction points the car in the right direction irrespective of the driving conditions. Yes, you can push it to do otherwise but then you would be bending the laws of physics and that takes the likes of Formula 1 drivers. Our capabilities are far off from. The Quattro system has also been adopted by BMW and Mercedes, albeit in their own terms, X Drive and 4Motion. They work in similar methods, but it was Audi which made it work long before it was the norm. The best way to drive the A5 is having it in dynamic mode, this mapping livens the response of the engine and the feedback from the steering. With every manufacture going green these days, Audi has put in an efficiency mode to keep the green-peace guys at arms length. However at this map the gearbox tend to jump up to its 7th gear as fast as possible, we were doing 80kmph when the 7th gear was engaged, but that was not all, it would also kill the ignition at a stop light. 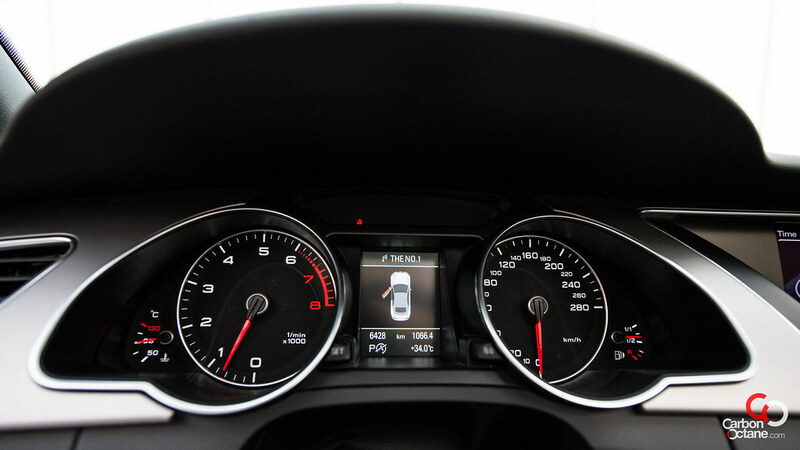 As an additional feature, it would also kill the ignition at a stop light to conserve fuel. 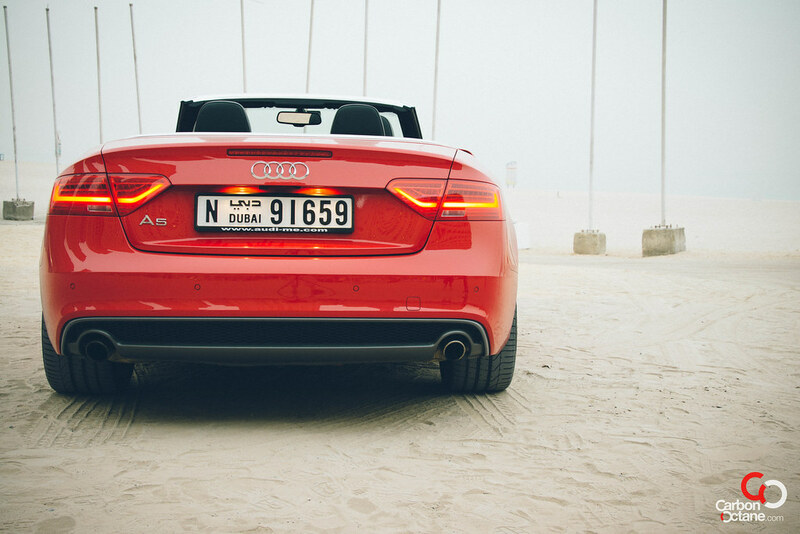 The A5 Cabrio felt much like the A1 we had tested earlier. 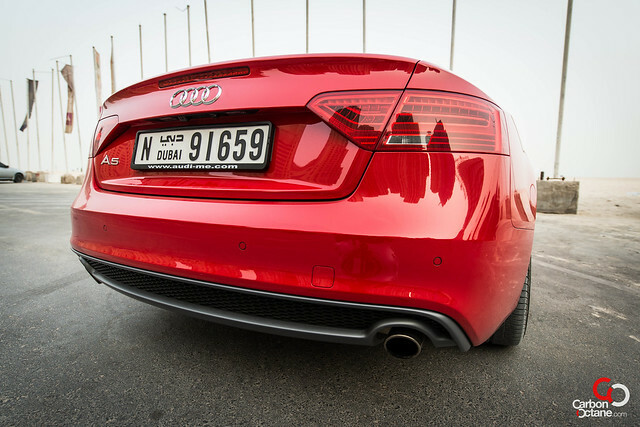 It was nimble and had had the power to match, which it proves because it sprints to 100kmph from standstill in 6.3secs. The communication between the engine to the accelerator seemed direct and devoid of any lag. This was a fine creation indeed. The cabin of the cabrio is slightly more noisy that the coupe but not enough to distract us. The roof lining is acoustically controlled but that’s the price we have to pay to take off the top in winters. The interior noise level is higher than the coupe’s although the roof lining is acoustically padded but that’s the price we have to pay to take off the top in winters. True to its words Audi has yet delivered on a well rounded package and lifts the level playing field up a couple of notches. They have hammered the ball again to the court of BMW and Mercedes. 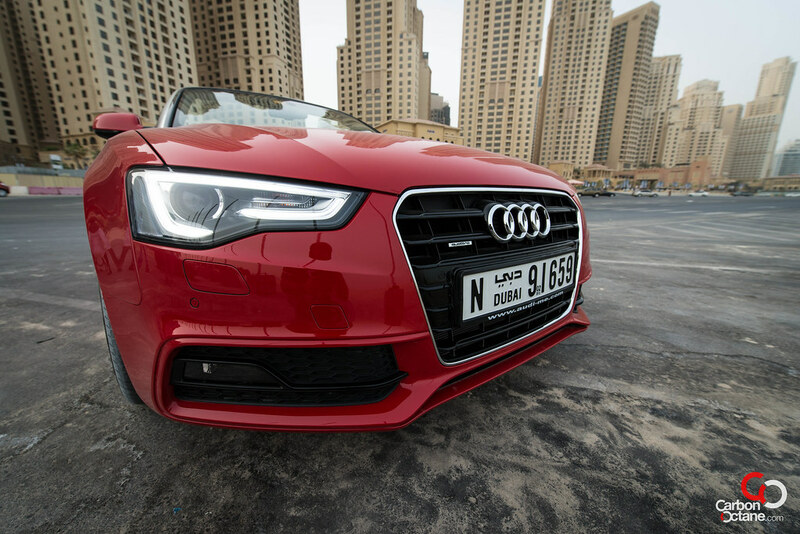 The A5 Cabrio starts at AED 238,000, however the one we tested came with the S Line package which added sports suspension, sport seats, leather package, navigation and S Line exterior treatment. 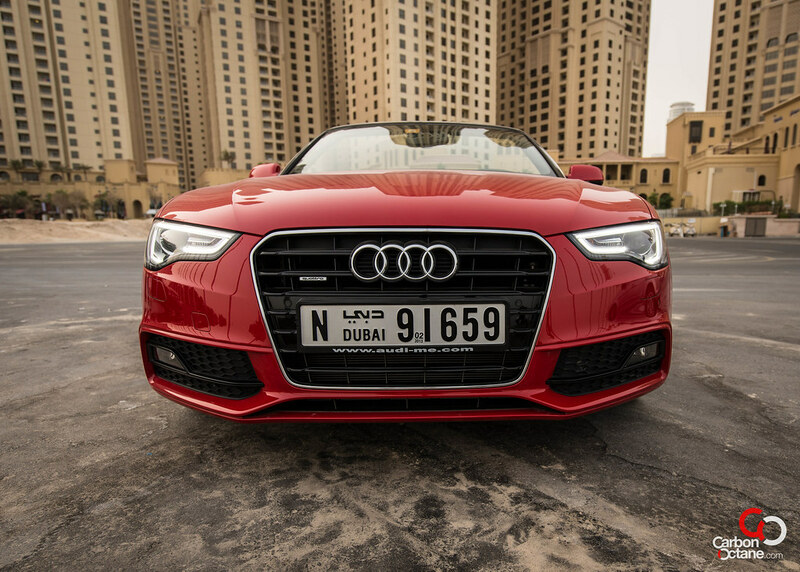 The price as tested was AED 259,300 and is well worth the extras since it is inclusive of Audi’s 5yrs/100,000 service package and 3 years warranty.